MY STORY TO GLORY YEAR! BEHOLD THIS COMPUTER: DIE EMPTY! 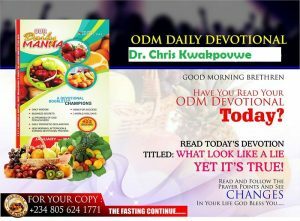 READ ODM Daily 24 November 2018 - MY EXPECTED END IS UNSTOPPABLE! Years ago there was this old joke of the brains of three dead men being offered for sale: One was a m Methodist, another a Catholic and the other a Pentecostal. Each brain was sold for 10,000, 5,000, and 15,000 dollars respectively. When asked why the Pentecostal was so expensive, it was because it had not been used at all. He said they pray and fast a lot but, do not use their brains much. So it was still full and fresh with ideas. ‘Lord have mercy!!! This is why I always pray: ‘Lord, if Jesus tarries, let me die empty! ‘That means don’t let me die until every talent and gift/calling in me has been 101% used up by my generation! Think seriously about that! Prayer Points: Take song 5: When the roll is played…..
Lord, give me Holy Ghost inspired ideas. I shall not die wasted. I must die empty in Jesus name. War Against Haman 14 DAY 13 AND DAY 14 – I SHALL SHOOT ALL MY ARROWS THIS YEAR! Billy Graham Devotional 24 April 2019 – He Is Alive! DCLM Daily Manna 24 April 2019 – Don’t Give Up! Our Daily Manna MY STORY TO GLORY YEAR! PRAYERS TO BEGIN EACH MONTH OF 2018!